Invisalign is an almost invisible option to straighten your teeth without wearing conventional metal braces. It uses a series of clear, removable custom-made aligners to move your teeth. Because you remove the aligners before eating and drinking, there are no food restrictions or problems with flossing or brushing. This technology is also more comfortable, avoiding the mouth abrasions that can be caused by the metal and wires of conventional braces. This technology is also more convenient, since you are likely to spend less time in our office getting adjustments. Contact us today in Las Colinas, TX to schedule an Invisalign consultation! 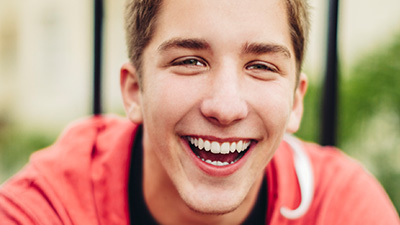 Why Choose 21st Century Dental for Invisalign? Once Dr. Smith or Dr. Roy develops a custom prescription for your mouth, Invisalign uses 3-D computer imaging technology to design the complete treatment plan, from the initial teeth positioning to the desired final positioning. This 3D imaging allows you to preview the final positioning of your teeth before you start treatment. 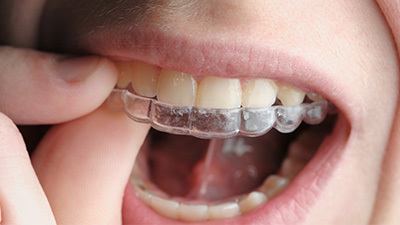 Custom-made aligners are created based on the imaging information. Each of these aligners moves teeth incrementally and is worn for about two weeks. Typically, you will visit us once every six weeks for progress reports. Not every situation can be treated with Invisible Aligners, as not all patients are candidates, so call or e-mail us for an evaluation to see if you can be helped with this new technology. There is a new Invisalign system that is specifically designed for children and teenagers! Come in and see if your loved one would qualify for this great new improvement from the Invisalign company. Our teens are very happy with their treatment so far. We are sure you will be equally thrilled!